I made my annual trip back to the mountain last weekend for homecoming. My spot on the front row of the upper deck was comfortable and a great view, but I couldn’t help but miss that familiar place in the front row of the student section right on the 50 yard line. For three years, that spot was my spot. I could tell you stories of pranks we pulled, chants we did, and all the ways we made Williams Stadium a nightmare for other teams to play in. Your shear number is impressive. Even more impressive is your creativity. We wore t-shirts and said funny things. You are painting up as entire dorms, going over the top with the costumes, and thinking through things in ways that we never even considered. If it’s okay with you, I’d like to pass along one suggestion. I don’t want to be that guy who graduated and acts like things were so much better when he was in school. That’s not my intention at all. My hope is that you guys become the best student section in FCS football and make The Bill into a place that isn’t just noticed, but is feared. 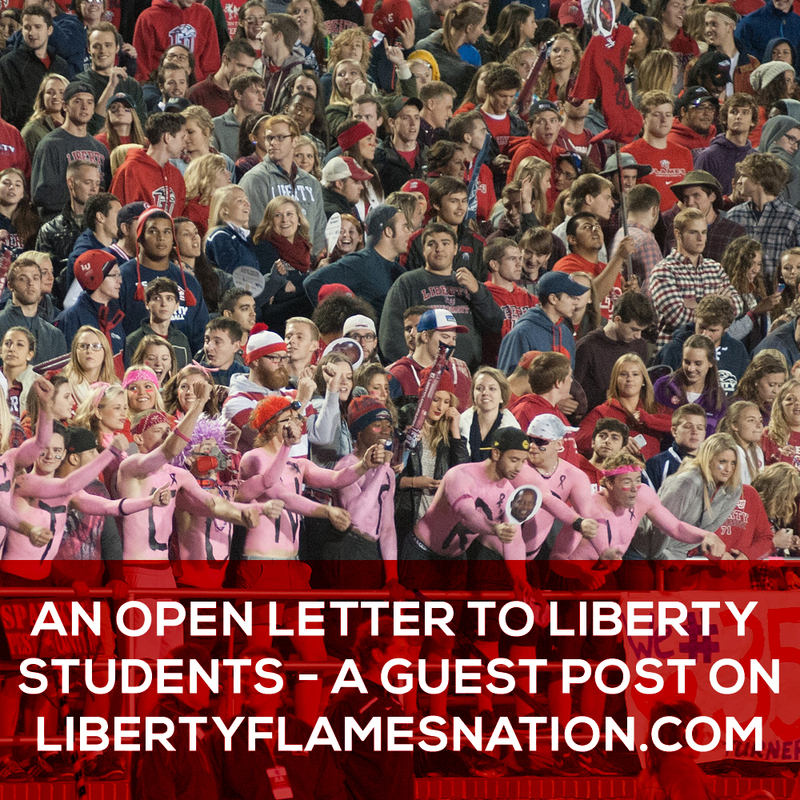 Click here to read the full letter on LibertyFlamesNation.com.